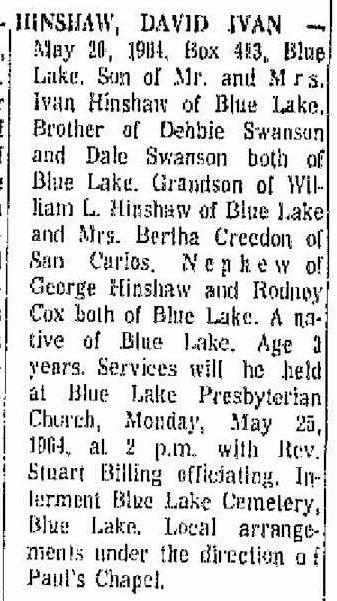 David's obituary was published in the "Humboldt Standard" (Eureka, California) on Saturday, May 23, 19643 (see scan below). 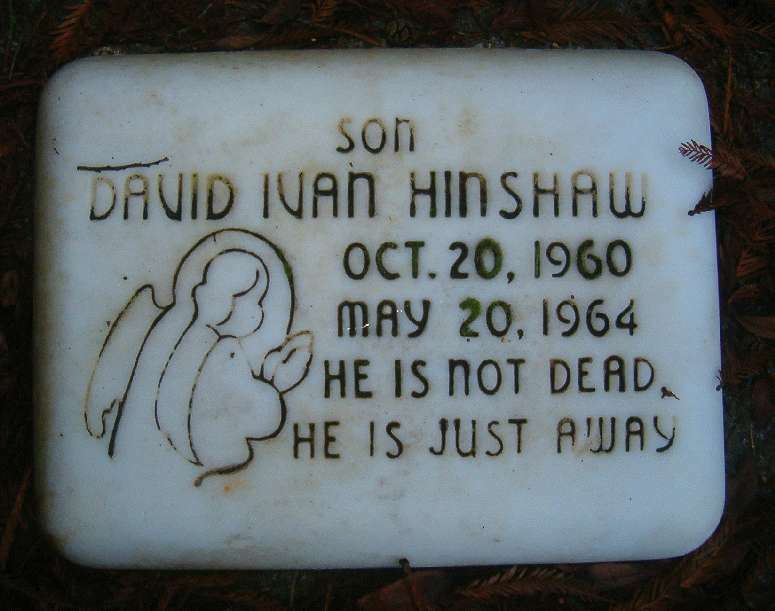 Gravestone of David Ivan Hinshaw; photo courtesy of Karen Matlock (). Obituary of David Ivan Hinshaw; "Humboldt Standard", May 23 1964; http://www.ancestry.com. 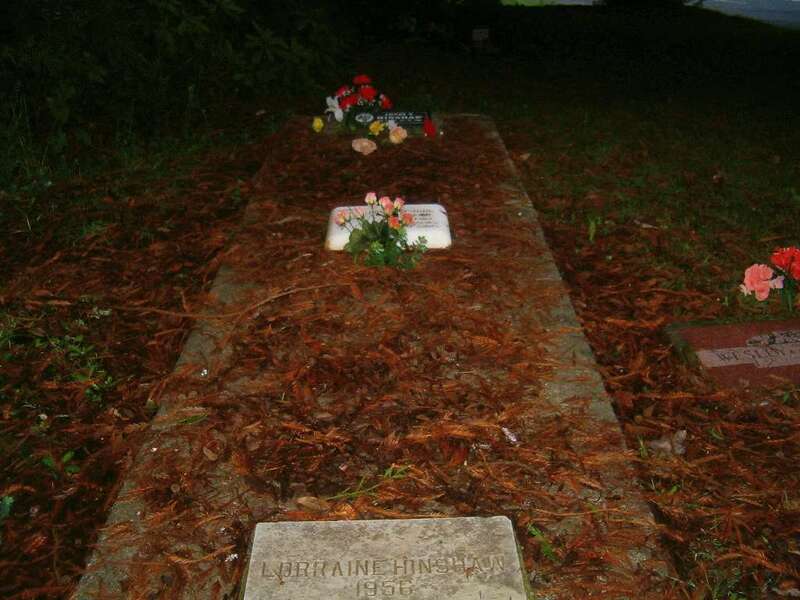 Photo courtesy of Karen Matlock ().